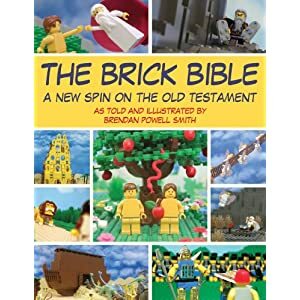 This guy is no Christian but he has done an amazing job of recreating it in LEGO! The pictures are amazing. Fundamentalists will love it and I love it as it shows how crazy it is to take messages away from the Bible without considering it’s historical context. Plus, people in LEGO are always cute! I’ve used the images a couple of times in my sermons and they have gone done a treat – making tricky subjects fun and memorable.